Your lymphatic system plays an important role in helping your body get rid of waste and toxins. One of its main function is to transport lymph throughout your body. Lymph is a clear-to-white fluid made of: White blood cells, especially lymphocytes, the cells that attack bacteria in the blood. Lack of activity or sitting down for too long can decrease the effectiveness of your lymphatic system and lead to toxin overload. Fortunately, there are many ways to prevent this. Aside from exercising and rebounding, dry skin brushing ranks among the top techniques used for stimulating your lymphatic system. It’s effective and cheap. 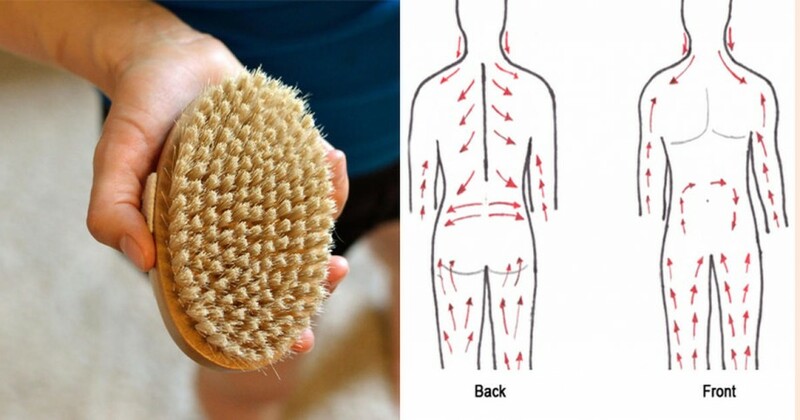 How Does Dry Skin Brushing Work? The largest organ for detoxifying the body is your skin. In fact, almost a third of your body’s toxins are expelled through your skin’s pores (2). Dry skin brushing unclogs pores, which in turn allows your body to excrete toxins that would otherwise be trapped. Once you’ve brushed your entire body, jump in the shower. After getting out of the shower, pat dry skin and apply rose hip or coconut oil. 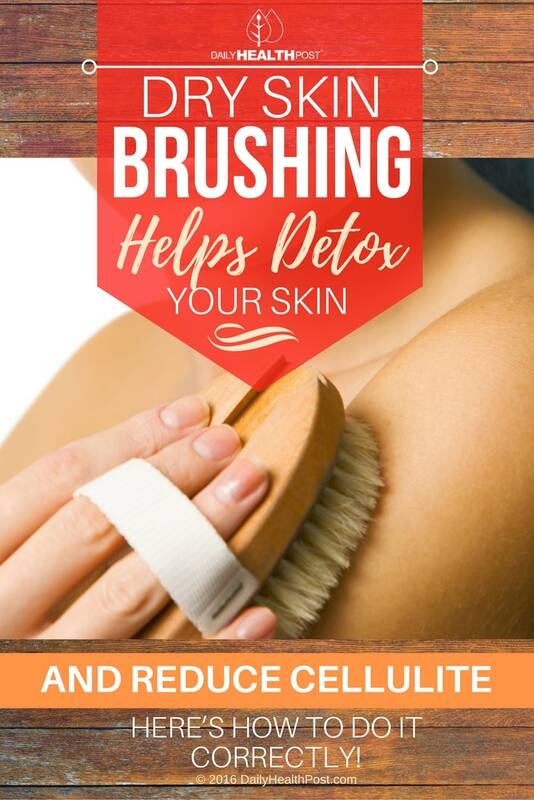 Latest Headlines » Wellness » Dry Skin Brushing Helps Detox Your Skin And Reduce Cellulite…Here’s How To Do It Correctly!